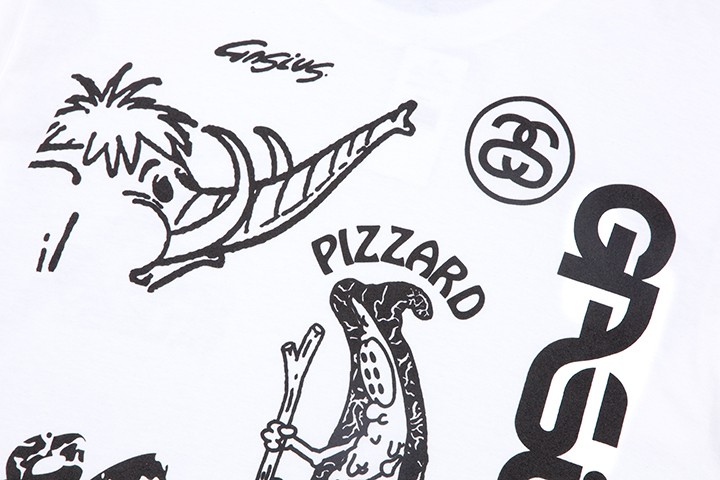 London based illustrator and artist Gasius teams up with streetwear giant Stüssy to create this pizza themed capsule collection. 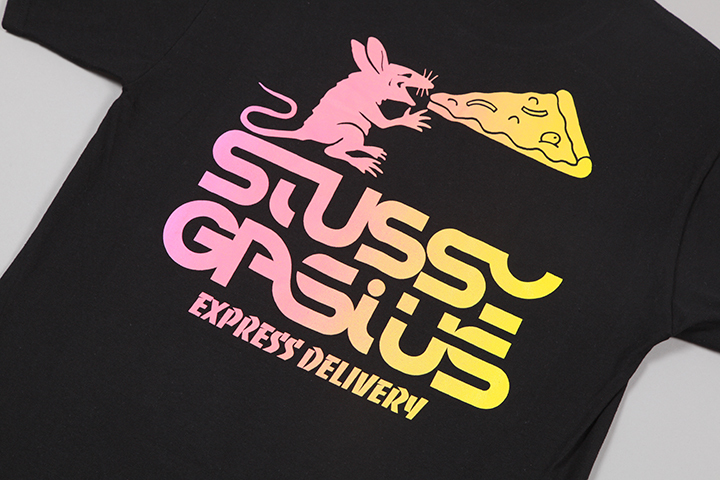 A common theme among his more recent works, it’s pretty obvious that Gasius loves pizza along with retro pizza delivery culture and it’s aesthetics. 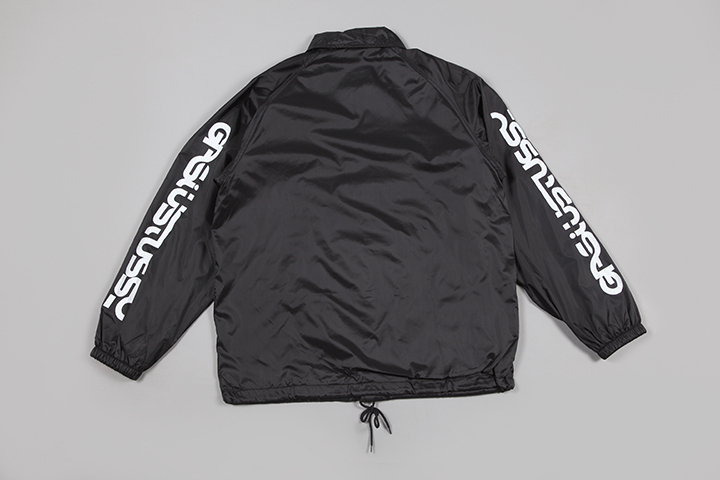 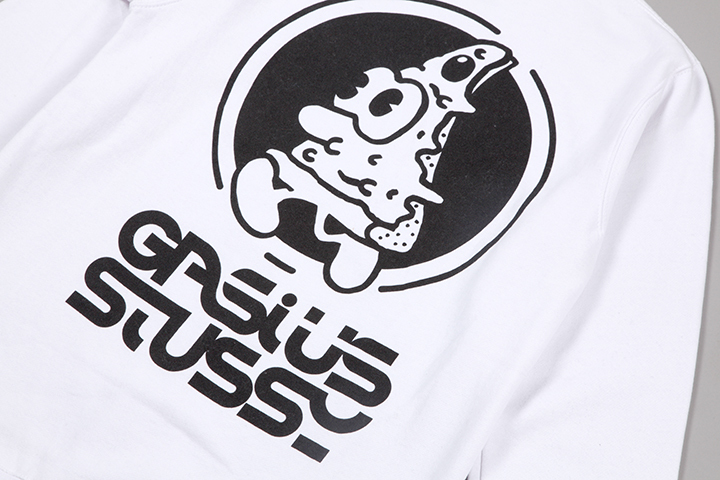 Gasius is no stranger to designing clothing, having created many of his own small batch collections and several collaborative pieces with Goodhood. 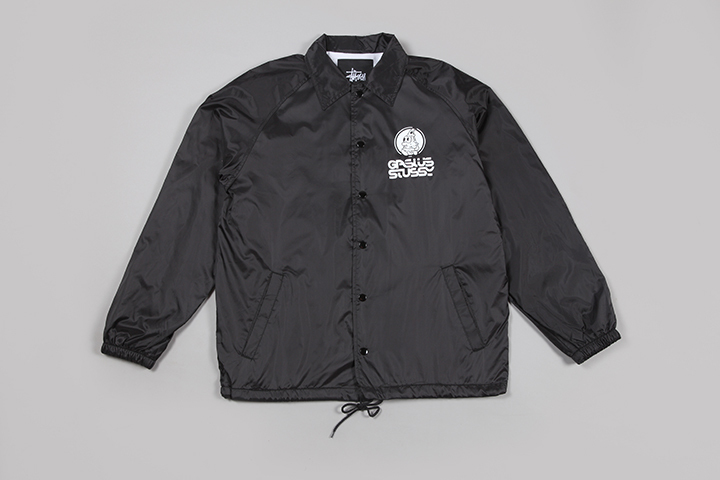 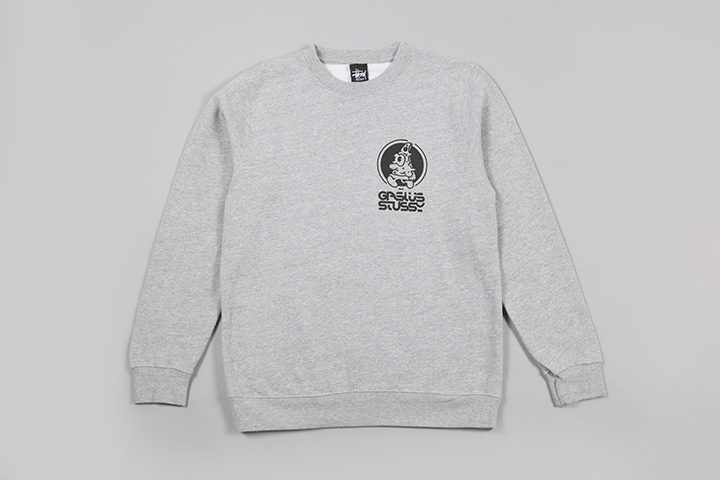 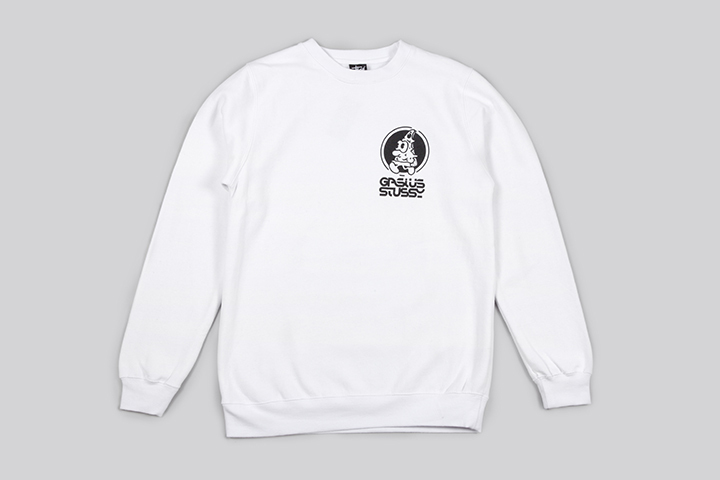 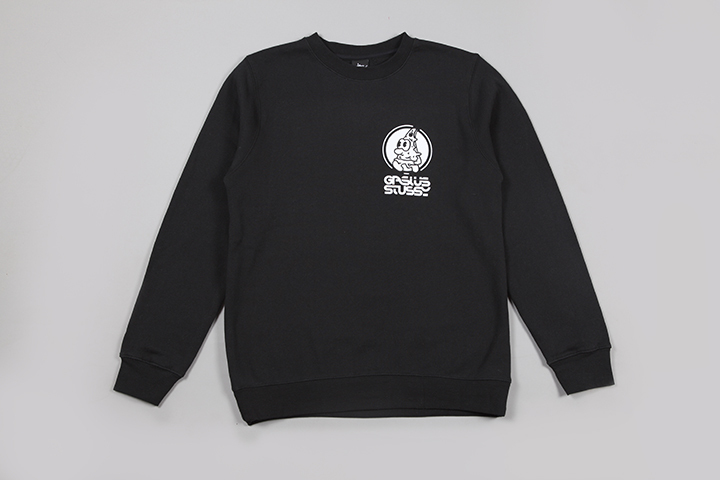 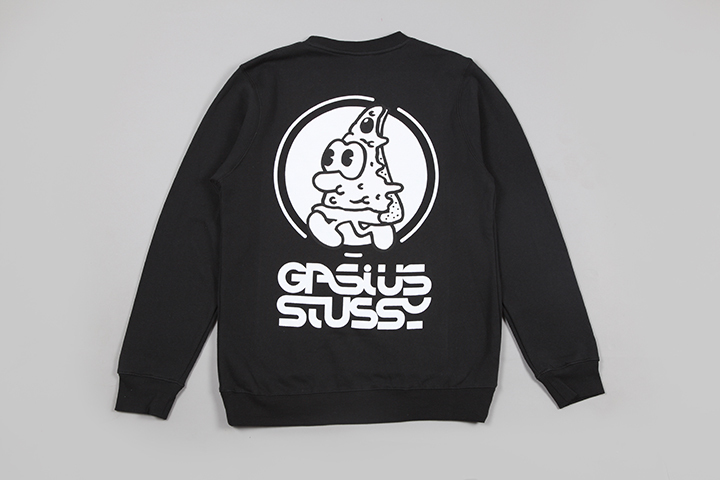 Here we see him team up with Stüssy to put his style to their clothing. 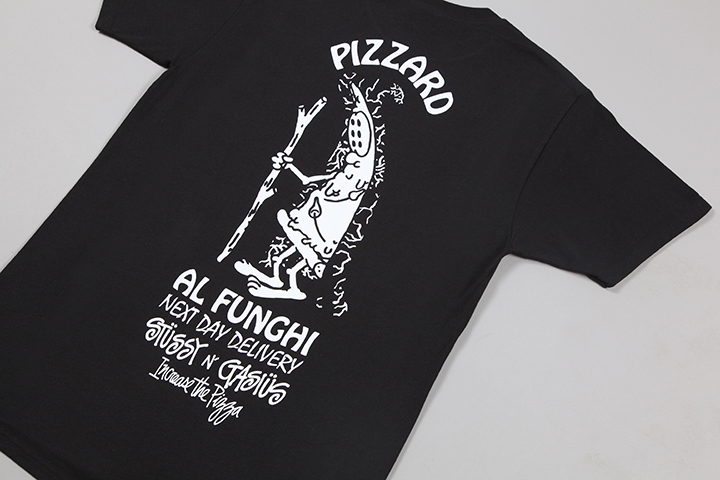 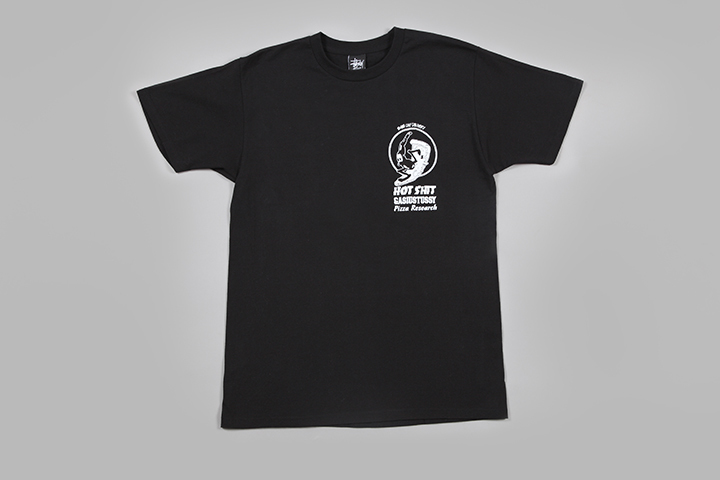 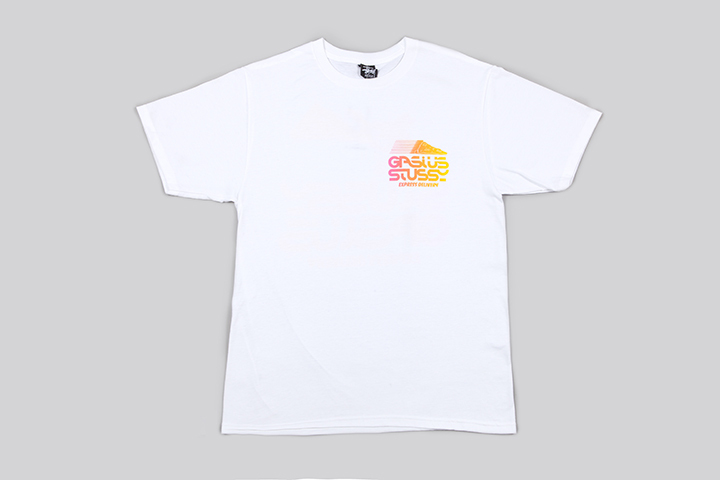 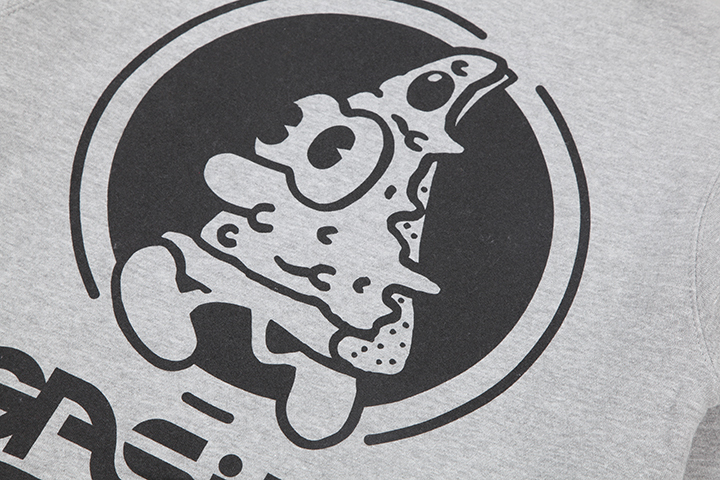 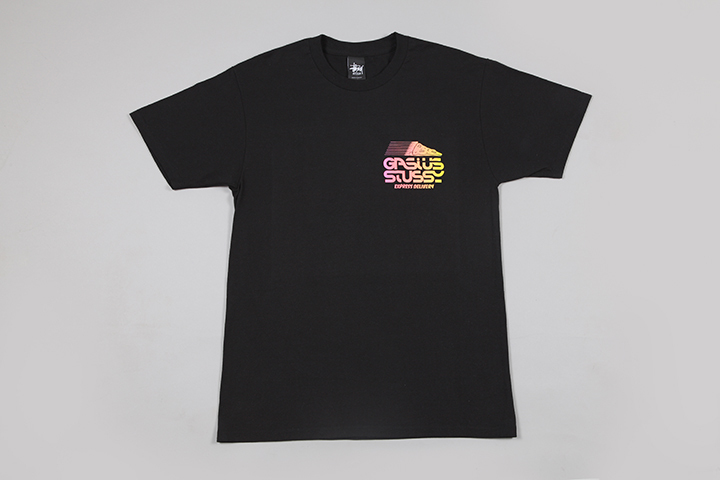 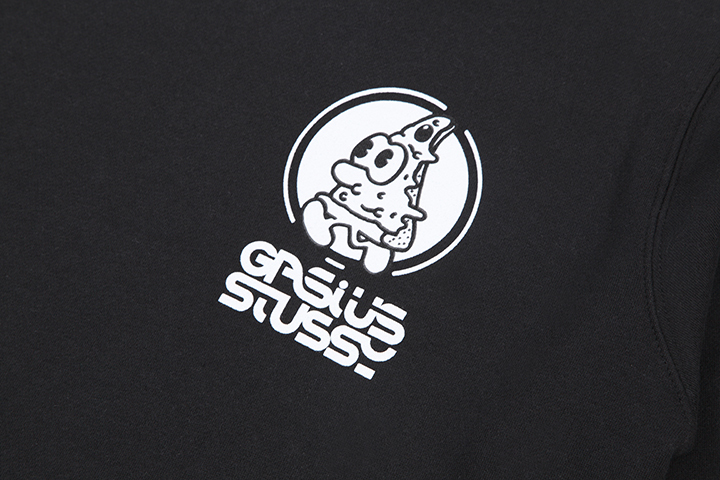 Throughout the collection there’s a healthy dose of Gasius’ humour, most notably on the “pizzard” t-shirt with it’s rad drawing of a wizard pizza slice, but also a strong homage to ’80s video game branding that’s most visible on the colour fade t-shirts. 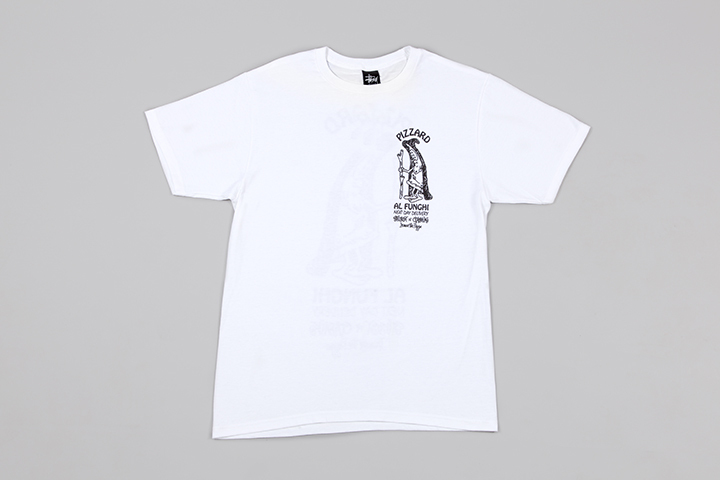 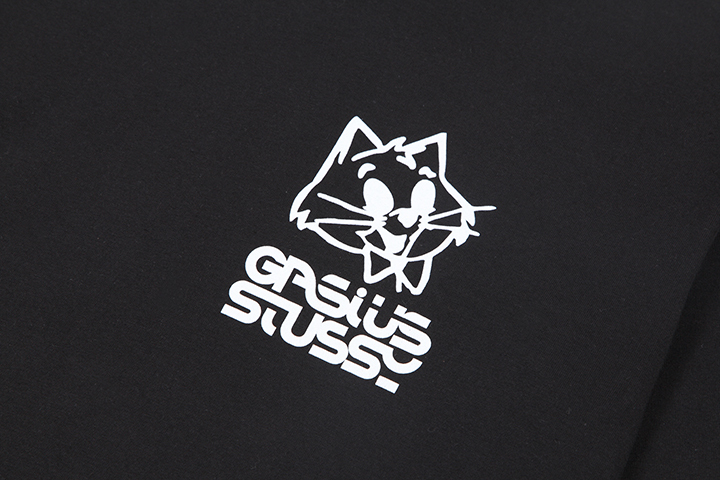 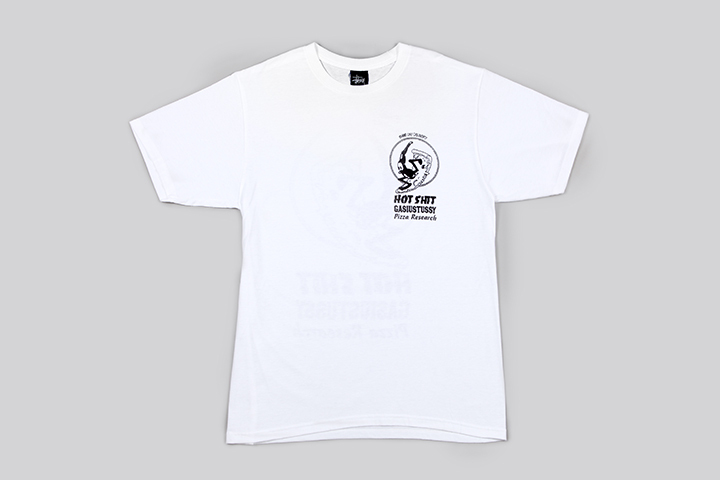 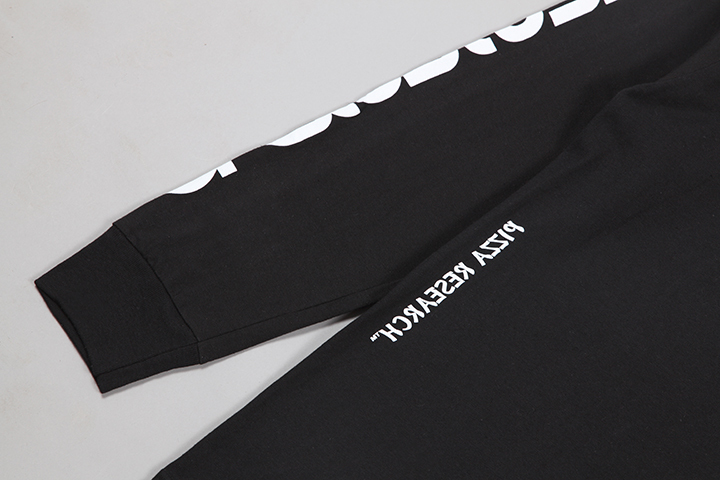 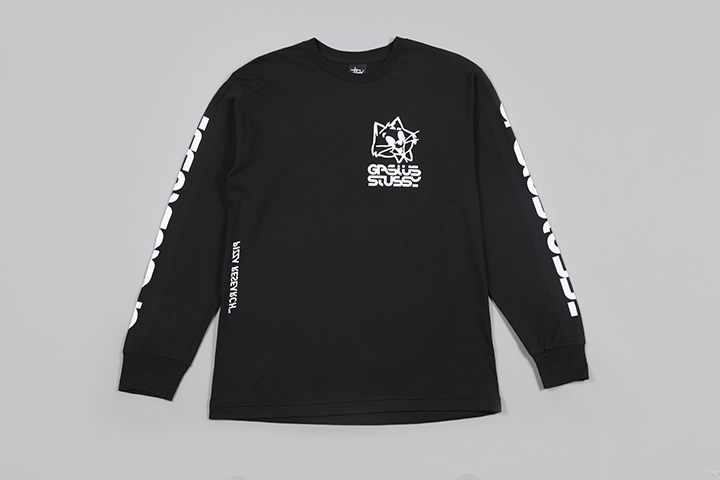 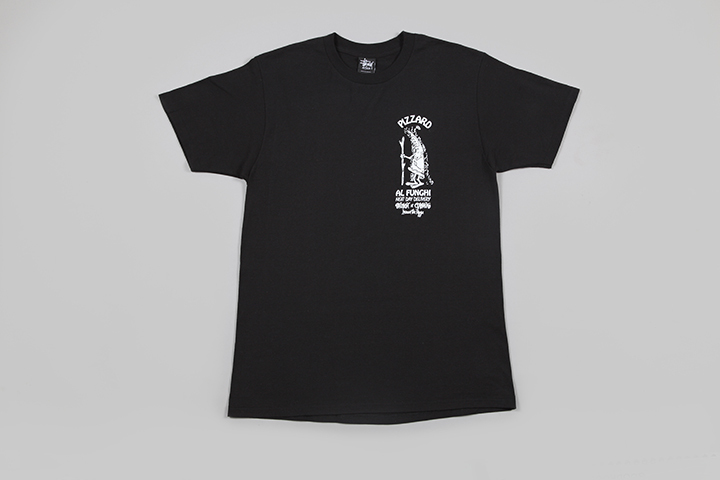 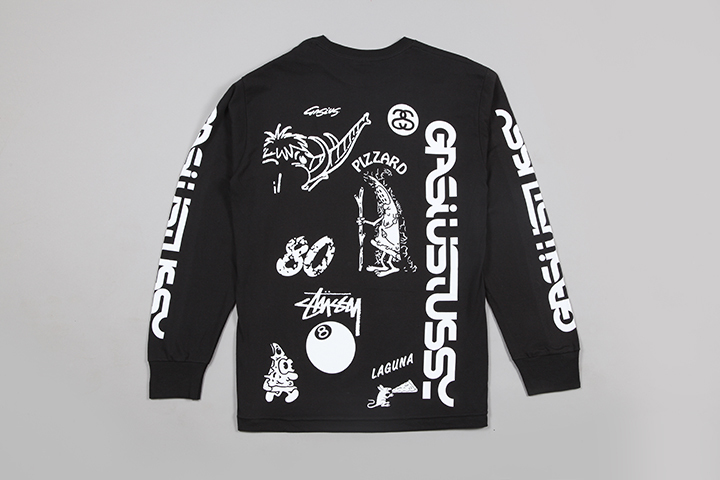 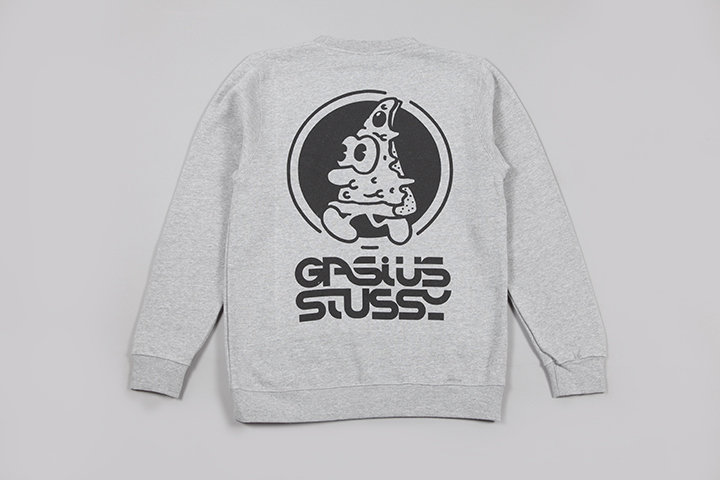 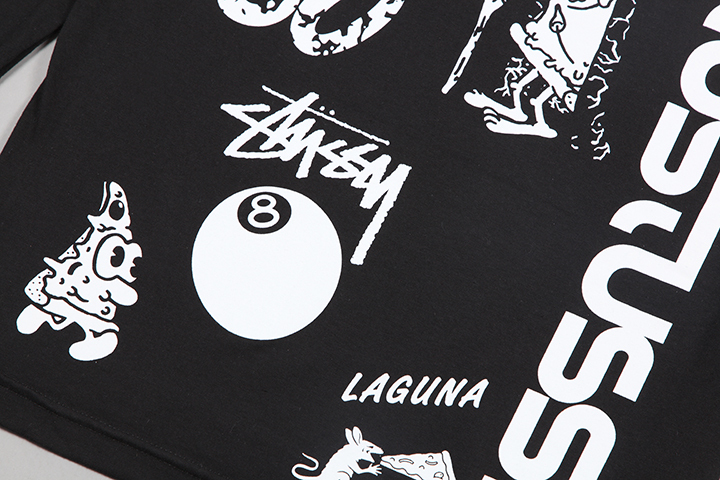 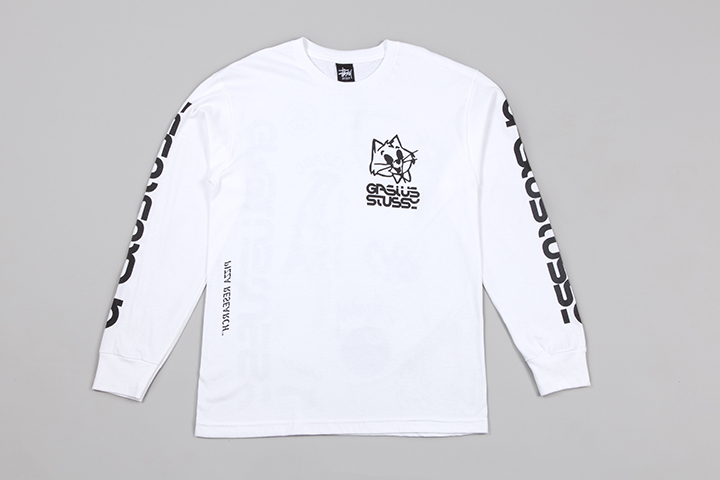 Although the collection looks more Gasius than Stüssy at first glance, the placement and arrangement of the designs pay homage to the old styles of Stüssy garments and skate clothing in general, taken to an extreme on the long sleeved t-shirts with multiple graphics. 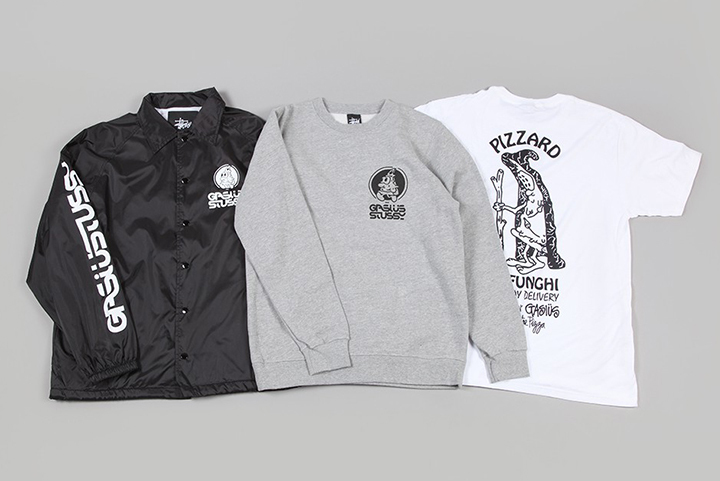 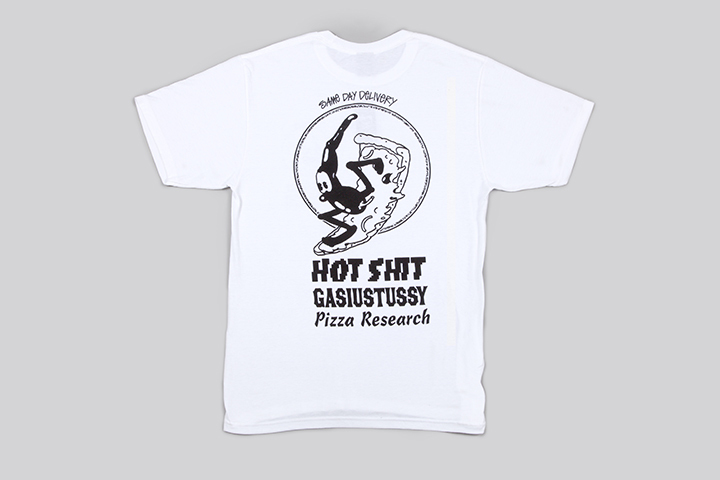 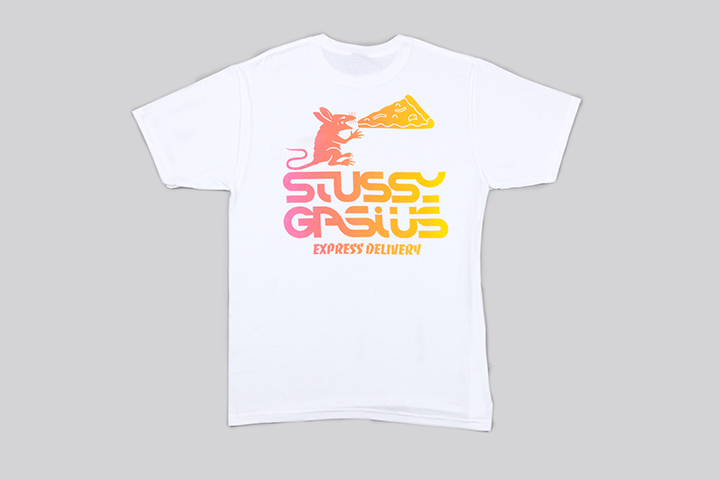 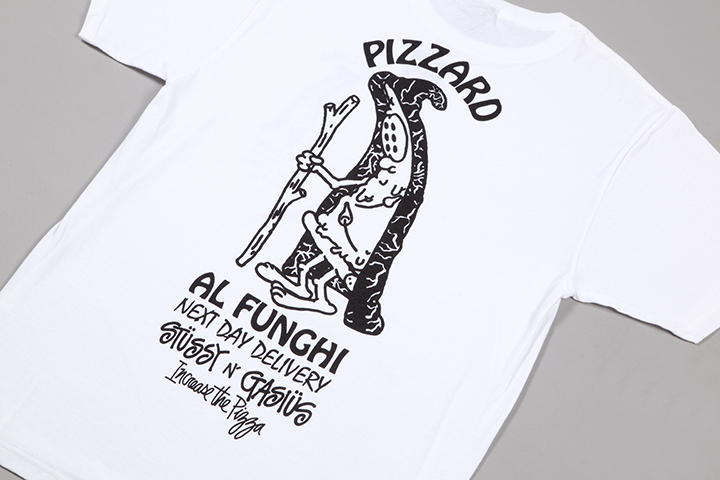 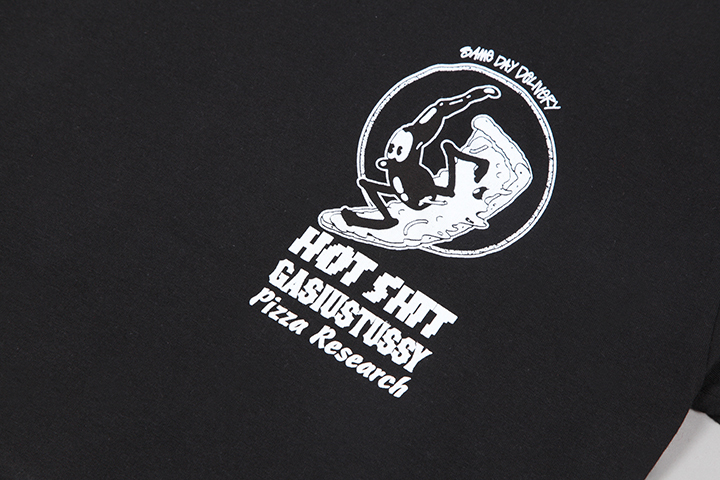 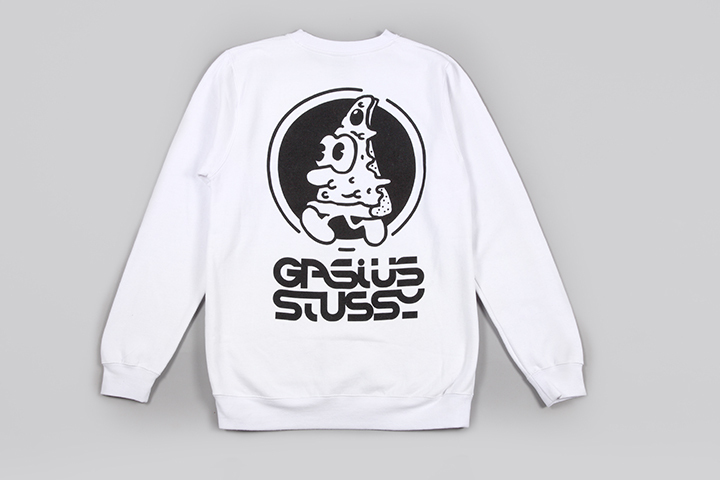 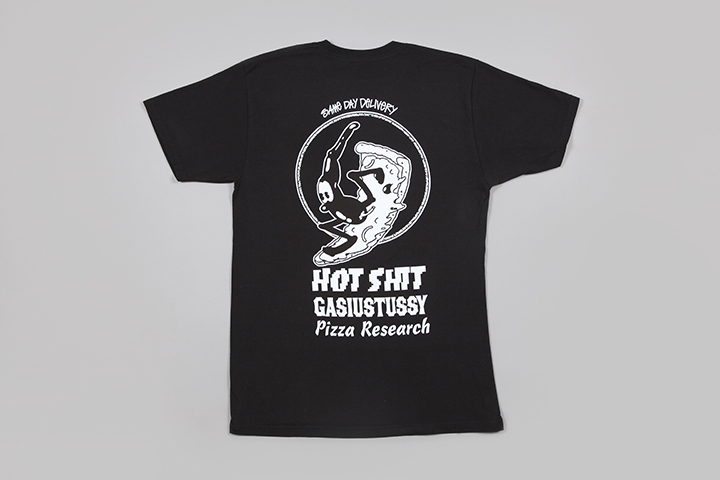 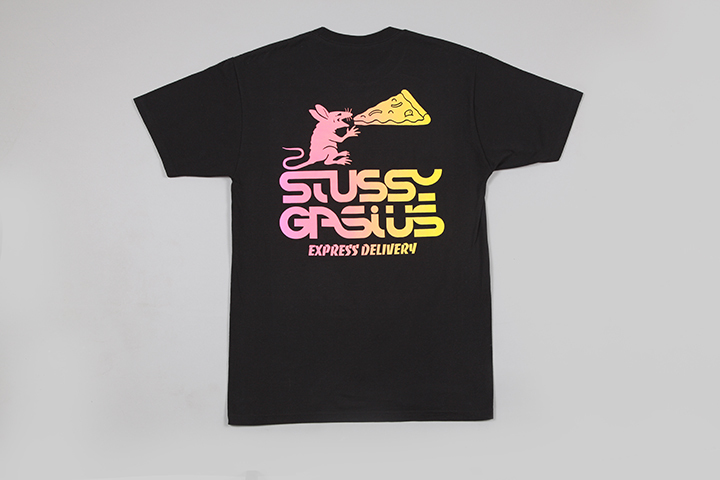 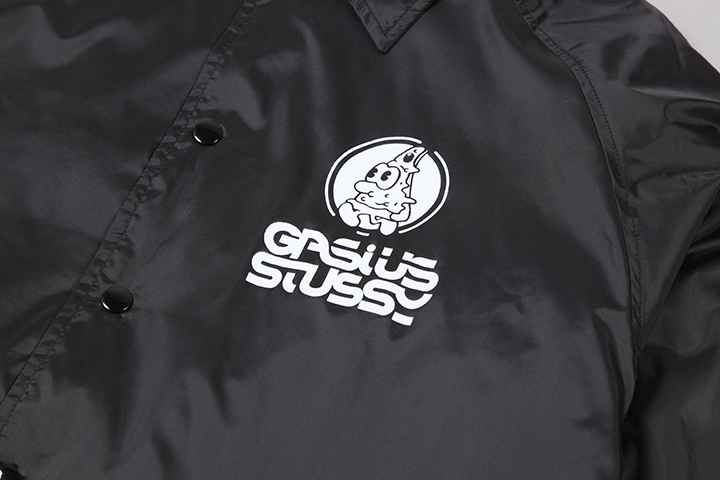 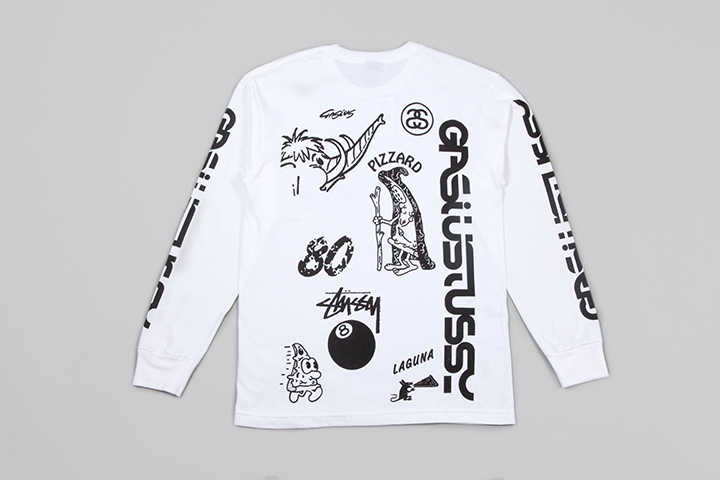 The Gasius x Stüssy pizza capsule collection launches at midnight tonight at Goodhood.